There are some new free events going on in and around Miami Beach during this second to last week of August. Without further ado, let’s get started. Need to get the body ready to tackle another work week? More than ten different locations will be offering complimentary yoga classes throughout the week, including right here in Miami Beach. Visit 3rd Street Beach Yoga this afternoon at 5 pm or visit South Pointe Park tomorrow for the hourlong classes held every Tuesday and Thursday at 6 pm. 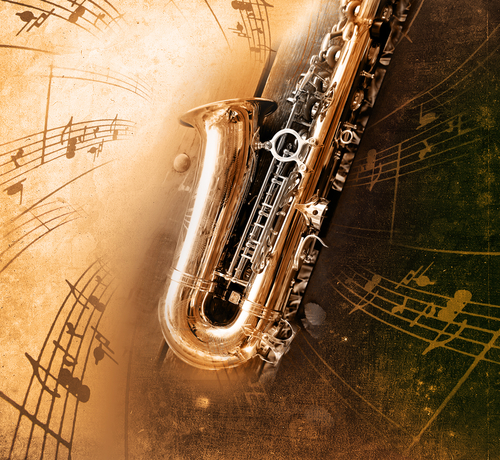 If yoga isn’t your thing, visit Churchill’s Pub tonight after work and enjoy some relaxing jazz music during Jazz Jam, held every week. Speaking of music, you can check out musical act Electric Piquette tomorrow at Ball & Chain beginning at 8 pm. Electric Piquette will be celebrating the release of “Cut Me Loose”, its new single. Art aficionados may want to head over to the Institute of Contemporary Art (ICA) which offers free admission each and every day that it’s open. ICA is located not far from Miami Beach in the Miami Design District. Chances are if you’ve ever had some guests over that have never been to South Florida, they’ll probably want to dine somewhere by the water should you decide to eat out. Sure, you can choose to go with staples like Smith & Wollensky or Monty’s, but why not spice things up and go for one of those lesser known places that turn out to be hidden gems? 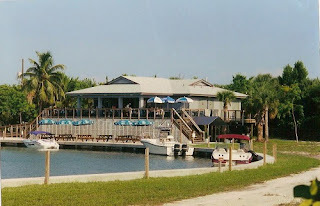 We’ll begin with Boater’s Grill in Key Biscayne. This place is quietly nestled under the lighthouse found at Bill Baggs Cape Florida State Park, but to even know it’s there you’d have to park far from the picnic areas. Formerly a pirate’s hideaway, it is today one of the Magic City’s best kept secrets, appropriately serving seafood. Explore the Four Ambassadors in Brickell and you’ll eventually discover the curiously named LOL on the Bay. Having a meal here is like hopping in a time machine and going back to the 80s where the intriguing crystal lobby leads to the pool. Try an Argentine dish or some wine and beer selections often available for less than five bucks. For a romantic evening, check out Palmeiras Beach Club in Coconut Grove’s Grove Isle. Enjoy a meal as the Biscayne Bay waves crash against the rocks. Perhaps the best time to visit is when the sun is bright and shiny. Request a secluded table near the top of the rocks and enjoy the gorgeous bay vistas. Are you in the mood for some Spanish style tapas? You’ll probably want to head over to the North Miami Beach area to check out the new spot that opened just last month. Called B Bar Tapas & Grill, the new eatery is a fusion of Wynwood’s perennial style with traditional Latin plates, allowing guests to enjoy the best of both without the often noisy hubbub. 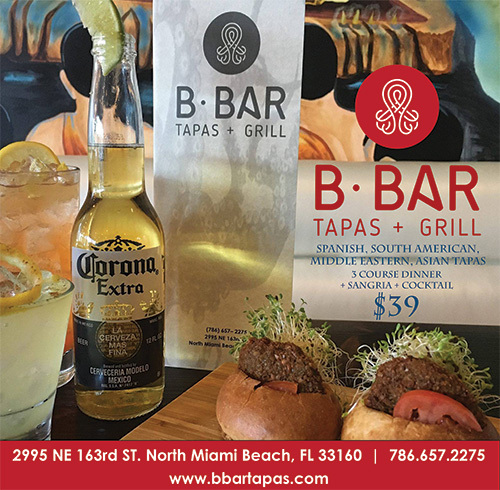 While B Bar Tapas & Grill’s menu is predominantly Latin, guests will find plenty of dishes inspired by North America and Europe. If you’d like to visit, the restaurant is located at 2995 Northeast 163rd Street. The fall season is just around the corner, ushering in potentially cooler temperatures. For the time being though, we still have to tolerate the high summer temperatures, but thankfully there are plenty of ways to keep cool in Miami-Dade County. 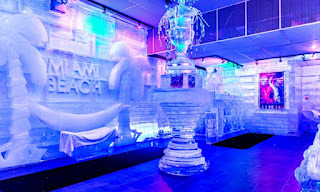 Over in Miami Beach for example, Drinkhouse Fire and Ice provides one of, if not the most unique bar experience in South Florida. As the first of its kind, guests can enjoy drinks served in cups literally made entirely of ice inside the Ice Vodka Bar. The bar is chilled down to a nippy 23 degrees Fahrenheit and has various ice sculptures. You’ll be provided faux fur coats and gloves to help keep you warm while sipping on drinks. If 23 degrees sounds a little too cold, how about a dip in the 50-degree Arctic Plunge Pool at the Standard? The water hole will force your muscles to contract and its health benefits include system detoxification and an energizing of your senses, provided you can tolerate its chilly temperature of course. Miami is rich in its Cuban culture and there are numerous places to enjoy a taste of the island’s many great foods or have a drink of some energizing Cuban coffee. One of the places to enjoy a Cuban meal is at Havana 1957 which recently opened its fifth location in the perfect spot: Ocean Drive. This new location can be found at the Marriott Vacation Club hotel. 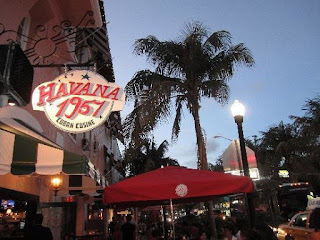 Havana 1957 is a relatively new chain, debuting in 2010. 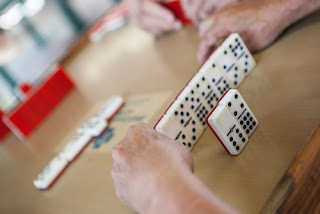 With an ambiance designed to capture the glitz and glam of 1950s Cuba, guests will find classic Cuban music playing in the background and they will notice plenty of vintage memorabilia. The eatery serves a variety of foods and features over 100 different types of rum. This new Havana 1957 location serves breakfast, lunch, and dinner daily. There are also plans in the works to eventually have live Cuban music playing to further add to the classical ambiance. You’ll find the other two beach locations on Lincoln Road and Española Way. Another week, another opportunity spotlight where all of the fishing activity is going on in South Florida. 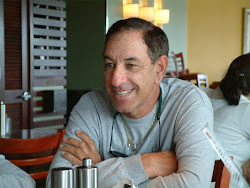 For today’s blog we’ll begin with the Florida Bay where sea trout and mangrove snappers have been seen in the channels. In fact, there have been reports of tripletail fish literally jumping into fishing boats. Miami offshore fishing hasn’t been quite that spectacular but it is certainly worth giving it a shot. Just outside the outer reef, plenty of bonitos and even some wahoo have been spotted along with kingfish and a couple of sailfish. A little further offshore near the Gulfstream edge blackfin tuna have been seen. 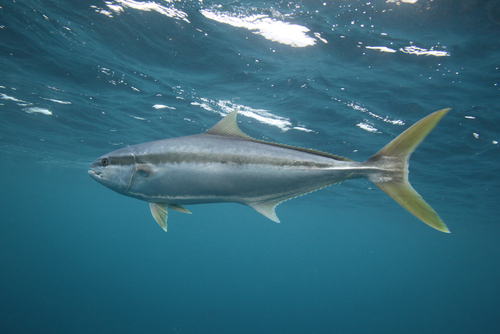 Over near Port Everglades, kingfish, barracudas, blackfin tuna and bonitos are aplenty at depths of 120 feet. Moving over to the Keys, mangrove and yellowtail snappers are quite active along with a few red groupers. Sharks have also been seen, including nurse sharks, big lemon sharks, and there was even one report of a hammerhead shark being caught. The Spirited Awards are dedicated to spotlighting the best bars and bartenders across the United States voted on by a panel of more than 100 experts in the industry. Created by Taste of the Cocktail, the annual awards are celebrating their tenth anniversary and one of the winners happens to be located right here in Miami Beach. Sweet Liberty on 20th Street was awarded the Best New American Cocktail Bar at the Spirited Awards. Owned by John Lermayer (who was also a finalist for American Bartender of the Year), Sweet Liberty is designed to makes patrons feel at home and one of Lermayer’s favorite drinks to prepare is the mint julep which helps his customers relax. Some of Sweet Liberty’s cocktails include the “Baby Bison”, a mix of vodka, apple juice, citrus, cinnamon, and Aperol or the Big Banana Julep which has banana rum, bourbon, salted banana syrup, and mint wad. Besides drinks, the bar also sells various food items including Skirt Steak, Swordfish Tacos, a Buns of Liberty Burger, and Warm Bread Pudding. Sweet Liberty is open every day from 4 pm to 5 am.